You may want to put a plastic cover on it, just to be safe. If there's one thing I've learned about vikings through years of pop culture osmosis, it's their dearly held belief that any obstacle can be overcome by beating the ever-loving tar out of it. Economic issues? Beat the tar out of it. Labor struggles? Beat the tar out of it. Encroaching neighbors? You get the picture. 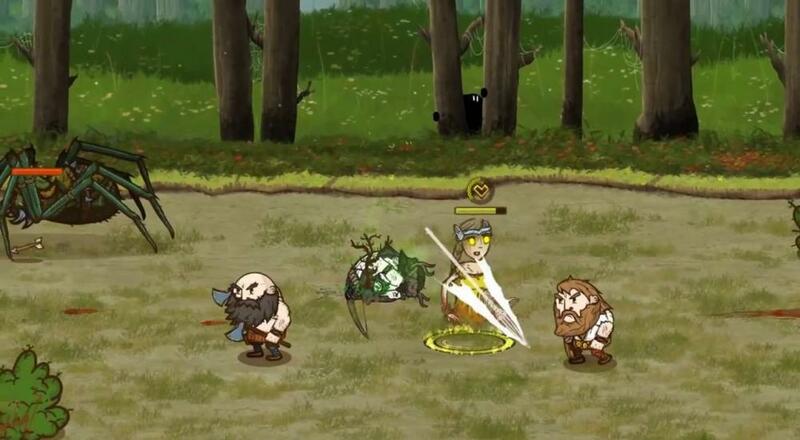 Monster Couch's new game, Die for Valhalla!, is taking that belief to heart. In it, you and up to three friends play as novice valkyries who are saving the world by - you guessed it - beating the tar out of things until the problem goes away. As it so happens, the problem this time around is a Great Old One. I typically don't think of cosmic horrors as something that can be punched into submission, but hey, if anyone can do it, I'd say it's the vikings. The game is out on May 29th for Nintendo Switch, PlayStation 4, and PC, and then May 30th for Xbox One. It'll feature four player local co-op for those of you who want to slam a few ales together while you play. As far as I can tell, this is the first full release out of Monster Couch, who hail from Poznan, Poland. I'd say they're as likely as anyone to nail the viking ethos, so I'm hopeful Die for Valhalla! will deliver that sweet, axe-based action. Page created in 1.2839 seconds.